The Monterey M3 is the smallest member of the M family. Thanks to its compact dimensions and the award-winning hull design it can move with agility on the water and is also pretty easy to handle. 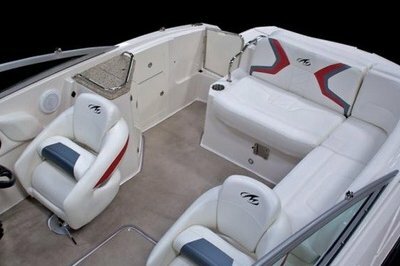 Among the features offered by the Monterey M3 you’ll find a standard wetbar, a stainless steel telescopic boarding ladder, a small head compartment located behind the port side dash and optional bow filler cushions. You also get tow mode engines, an exclusive aluminum tower, rear facing seats and large storage compartments. 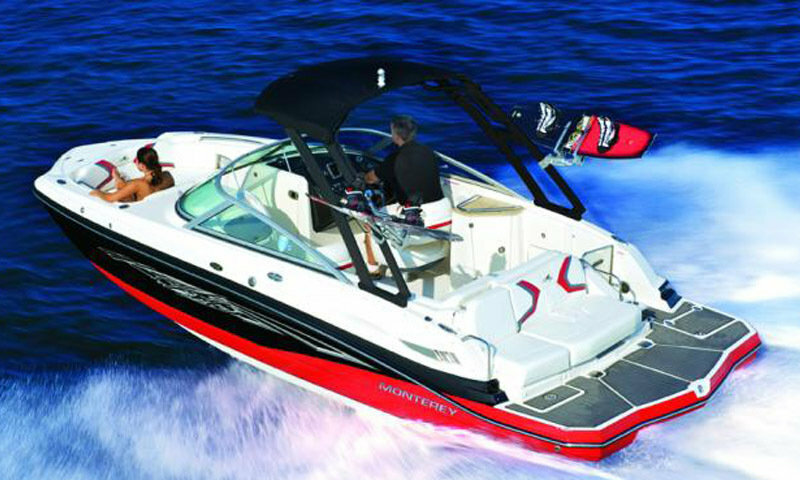 The Monterey M3 is equipped with Volvo DP V8-320 EVC engines which crank out 320 hp. You’ll also be happy to know that boat comes with a Lifetime Limited Warranty for the hull and deck, transferable for up to 10 years. The boat weighs 4500lbs and is fitted with a 50 Gallons fuel tank. Nimble and Sporty best describe the Monterey M3. The smaller model in the M Series lineup, the M3 is still ahead of the curve. 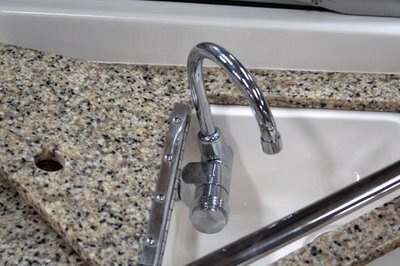 A standard wetbar is sized just right for preparing a drink, or a quick snack. The M3 is equipped with a stainless steel telescopic boarding ladder for easy access in an out of the water. A small head compartment is located behind the port side dash. The optional bow filler cushions turns the seating into a spacious sun island for taking in the rays. Thanks to an award-winning hull designed by Monterey engineers, solid performance and excellent stability is a key feature of all our M Series models. With quick planing times, and the ability to stay on plane at low speeds, the M Series boats are ideal for water sports. The MSX models offer tow mode engines, an exclusive aluminum tower, rear facing seats and large storage compartments perfect for taking it to the next level. 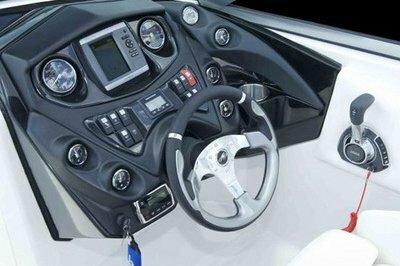 These models are the industry leaders for ski boats and wakeboarding boats.